I hung a cabbage in the coop for the girls to peck at. 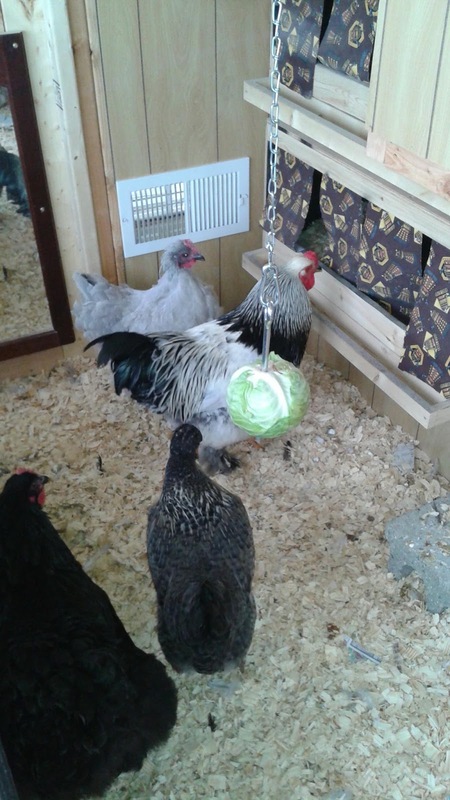 Something to entertain them in the winter when their cooped up in the coop! They were not happy at first to have this strange green thing in their space. 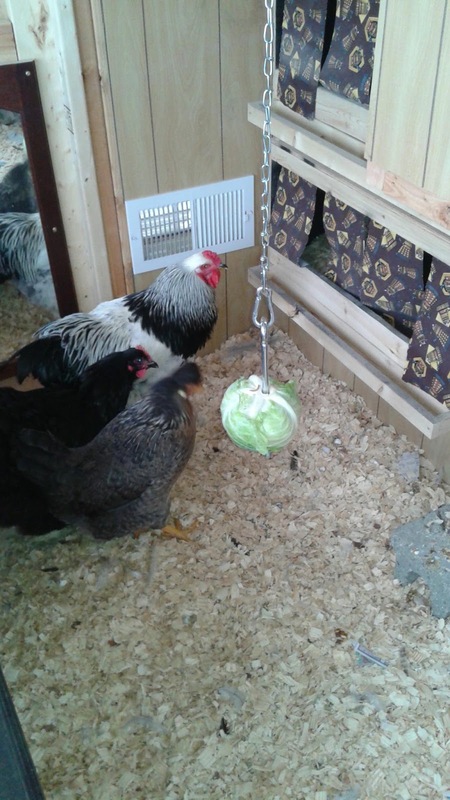 I sprinkling some of their treats on top of the cabbage and that got them to go up to it. 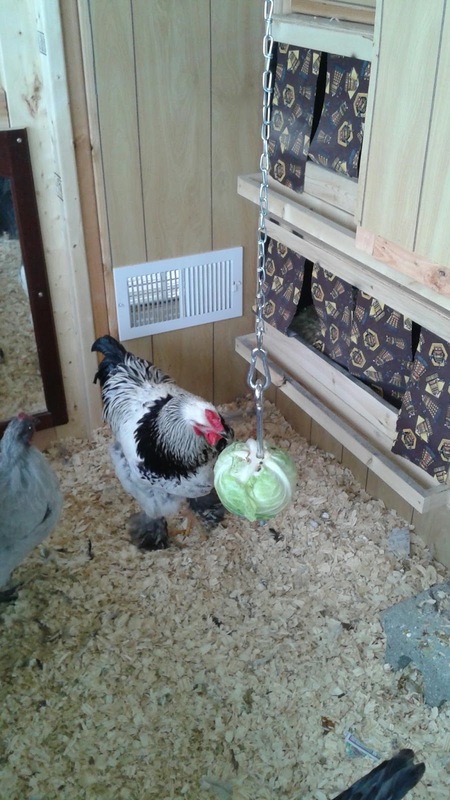 Then Queen Ann was the first to peck at it. 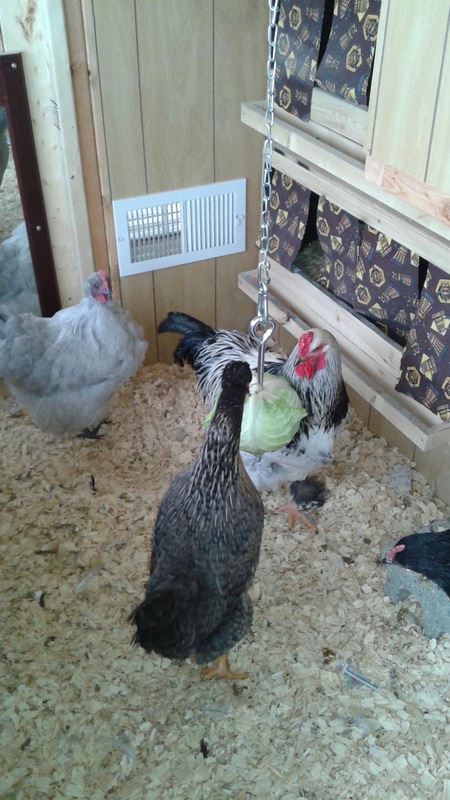 So I left them to it and came back a little later and it had a good start of being pecked over.